Designed by Ted Parslow, the Dalit Bay Golf & Country Club’s championship golf course is located within the 400 acres of the luxurious and popular Shangri-La Rasa Ria Resort. 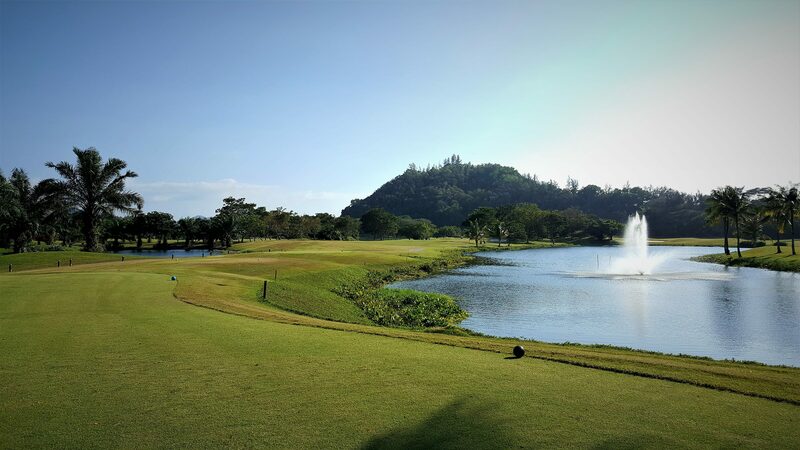 The golf course is located approximately 30 kilometres or 40 minutes by car from the city of Kota Kinabalu and provides an excellent playing experience in a beautiful and natural landscape. The course was designed to fit in with the local and rustic environment of Sabah Malaysia and rivals the world’s great golf resorts. Spectacular views of Mount Kinabalu, South-East Asia’s tallest peak, are afforded from most holes and the best time of day to catch a glimpse of this peak is early morning before the daily clouds and fog roll in. The Sabah golf course is bordered by the Tambalang and Menagkabong Rivers and the surrounding area is mainly forested jungle and mangrove swamps. The sea breeze carries the cries of wild birds and dense jungle fringes the immaculately manicured greens. The course curves through rivers, wild rainforest and wetlands. Much of it was painstakingly developed from mangrove swamps. As you play the challenging course, you’ll catch glimpses of the pristine Pantai Dalit Beach. Monkeys and monitor lizards are an occasional course hazard! Dalit Bay is packed with risks and rewards to delight all golfers. Water comes into play on most holes and challenges more accomplished golfers who opt for the back tees. However, the generous fairways make Dalit Bay ideal for those just picking up the game too. Golfers are provided with a full-service playing experience and the facilities of a 5-star resort. Dalit Bay has an extensive clubhouse with a restaurant, a driving range, putting green, chipping and bunker practice areas, changing rooms and a one of the better stocked pro shops in Kota Kinabalu. Dalit Bay Golf & Country Club is one of the most complete golfing and relaxation experiences in Sabah Malaysia.